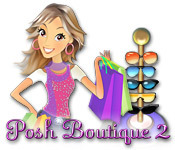 Posh Boutique 2 is rated 3.3 out of 5 by 8. Rated 5 out of 5 by writer3 from Great game! Fabulous game. I enjoyed the gameplay and the store designs. 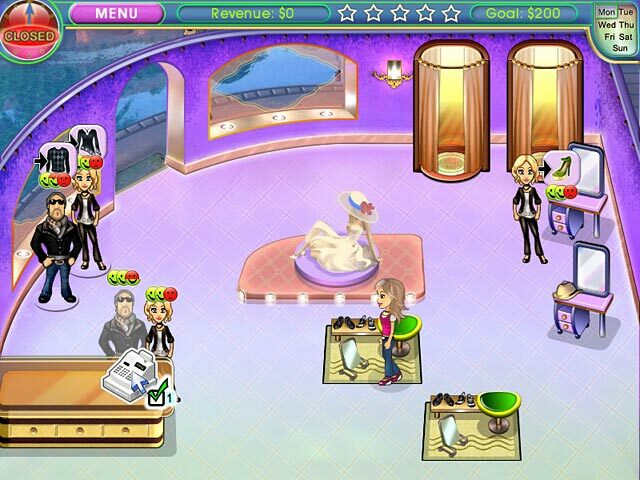 Rated 4 out of 5 by youandias1 from Janes Hotel i love this game. had play it for sometime. would like to play more. Rated 3 out of 5 by megwoman25 from Fun but has issues I never played the first one so I can't compare the two but I will say the gameplay is really fun and I really enjoyed that part. What made me give the game 3 stars instead of 5 are the mechanics and issues with the game itself. One thing I really cannot stand is that there is no way to go back and get expert on levels you didn't get it previously. The only way to do this is to replay the same level over and over again because once you leave it, you can never go back to it. Not knowing that, there were a few levels, I could not get expert in and thats something I really like to do in TM games. The other issue are the trophies. There aren't very many and some add up over time like it will have a 5 next to it for how many times since the first time you did it. There was one trophy (get 4 or more happiness from each customer in a level). I cannot tell you how many times I got this but no matter what it would not register. So even though I got all the trophies, the game never acknowledged that I did. Some positives would be that there are 3 mini games to all the shops either scrolling, finding objects or pressing an arrow. The arrow one got a bit wonky from time to time and would stick. No it was not my mouse. The game is glitchy. There were also two mini games inbetween different levels. One was helping VIP customers and the other was finding shoes, purses etc. The finding one was really annoying because each time you would find the same exact objects and in the same places. So you'd get a great score but very repetitive. There is an ultimate mode where you can do it til you drop or until you get to 10k and you have all the upgrades. I did one round, found it repetitive and called it a day. If the game mechanics had been working properly and I could go back to get expert, I probably would have given this 4.5 stars but due to all the glitches, I just can't justify rating it higher. However, this game is really fun so if you like these kinds of games and don't care about expert ratings or trophies, I do recommend this game. Rated 3 out of 5 by VetesseKnight from An All Right Game Like another reviewer said, there isn't much improvement to be had from the first - which is disappointing. Really it's just 'more' game play or an extended version of the first. There were some added features that actually demoted the game a bit over the first I felt and the controls weren't as pleasing. The voice actors were a bit cringe worthy but not too bad. The challenge level was a bit... off in places. An all right game to pass the time but not much else. It is fun, I will say that. But I enjoyed the first better. Rated 3 out of 5 by drkne from Not much of an improvement over the original For those who have played the first one: It's kind of nice that they added some additional modes to things, for instance, when you help customers there is more than one game mode. Instead of just scrolling through options till you find the right one, it's random that 2 other mini-game types can pop up. One of them is pick-the-right-items out of items shown to you and the other is picking the right item out of a scrolling line of images. 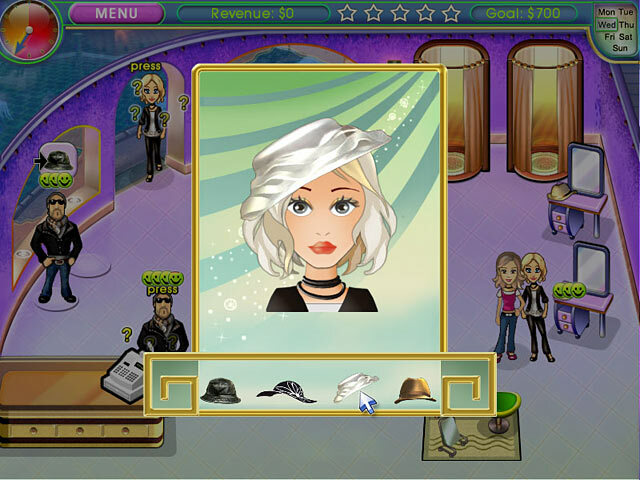 There's also another new mini-game between work days where you search out all the items that customers ask for, like finding all the red shoes in the scene. I give it a lower rating because it's rather mediocre in many ways, like graphics and the feel of the gameplay compared to the many games in this genre that I have played. Same as the original, you can't go back to previous towns to get expert on all your days. And there's no real replay value. There's an ultimate mode thingy, but that's just playing the game regularly and every time you reach a cash goal your shop upgrades itself till you shop is fully finished. So basically not much point unless you have some siblings or something that you really like to try to beat score-wise. Rated 2 out of 5 by harroco from Problems making combo This version is very similar to the first version, however in this version I am unable to make a combo by picking up two or three people at once. It shows you how and tells you how in the help section, however it doesn't actually work for me in this version. Rated 1 out of 5 by vl050979 from It was fun until..... I like to reach the expert on every level and if I miss it the first time I like the opportunity to try again and this game does not allow you to replay levels. After winning the lottery, Alicia has decided to take her Posh Boutique to the next level and upgrade her amazing store!